from a folder in three clicks. 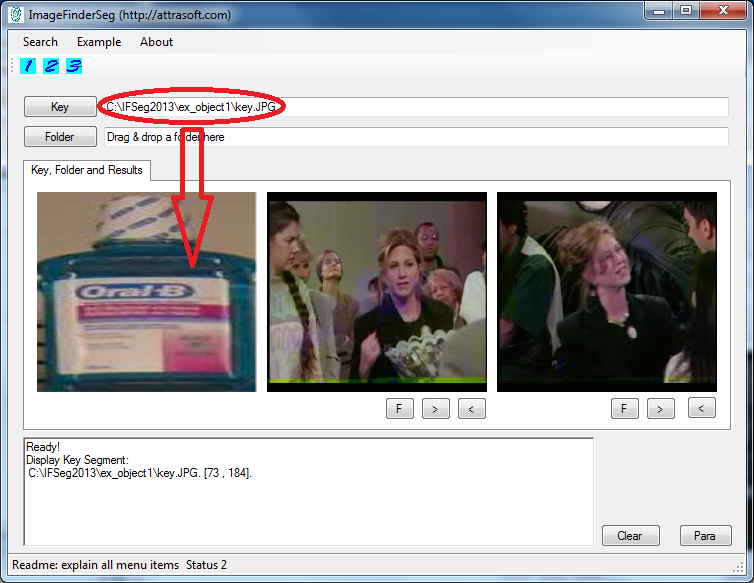 · Click “ImageFinderSeg.exe” in the folder to run. · You cannot sell a service based on any computation results produced by this software. You must purchase a separate annual license for commercial use from Attrasoft. · You cannot use the software to perform work for which you will get paid. You must purchase a separate annual license for business use from Attrasoft. · Scale variations start from 20%: The cropped images and their appearances in the original images must be at least 20% in each direction. · No rotation variations: The cropped images and their appearances in the original images must have the same direction. 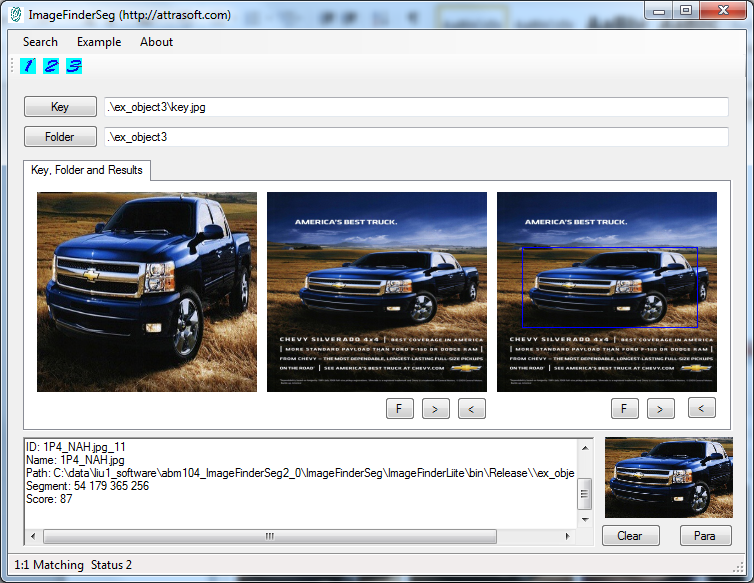 · Search a folder for image segments that match the key image by clicking a menu item. These three steps are implemented by three buttons in the toolbar (Figure 2). 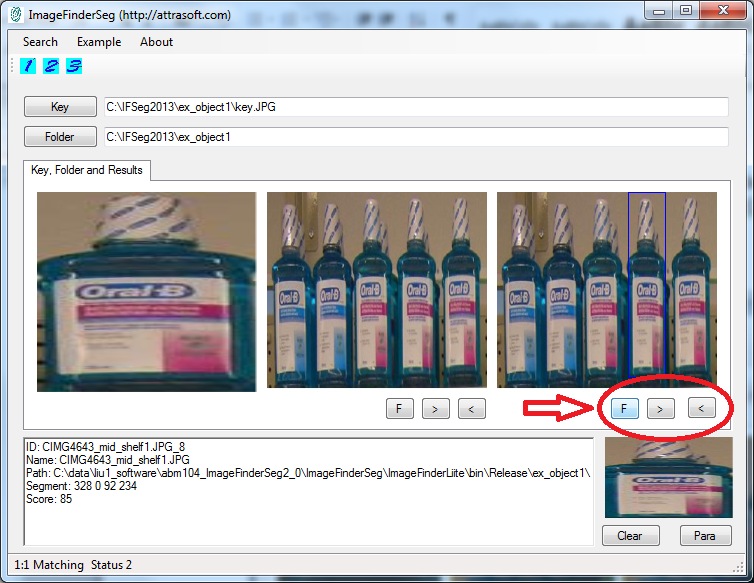 You can operate the Attrasoft ImageFinderSeg from the Toolbar (Figure 2) alone. Figure 3. Three image Panels: Key, Folder, and Results. A key is a cropped image segment to be searched. To obtain a key, you can cut out an image segment from an image by using Windows Paint. 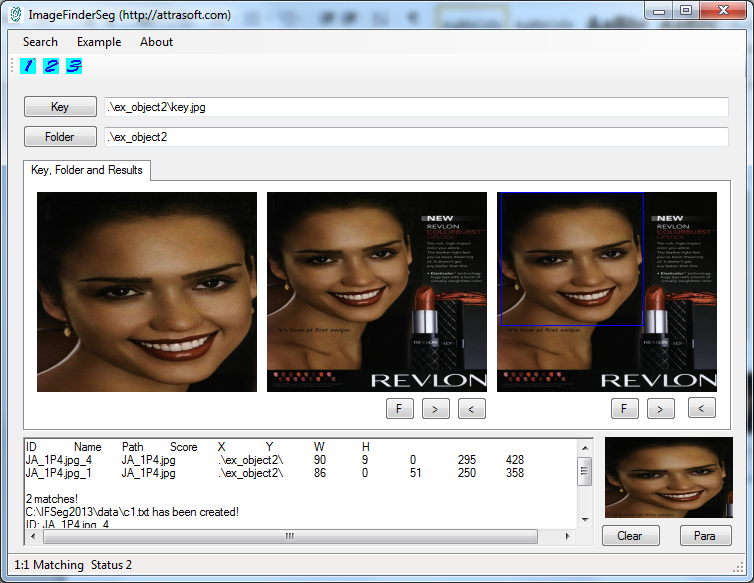 Figure 4 shows an example of how to obtain a key segment from an image by using Windows’s Paint. A folder is a collection of previously stored images in a folder. Use the F, >, and < buttons in Figure 5 to see the images in the folder. The “F” button goes to the first image; the “>” button goes to the next image; and the “<” goes to the previous image. All sub-folders will be included. 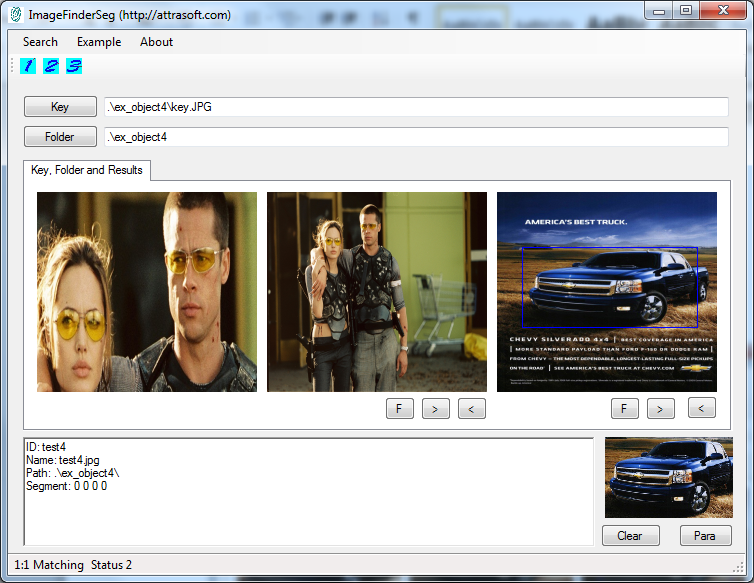 Results are images that matched the “key” image segment. 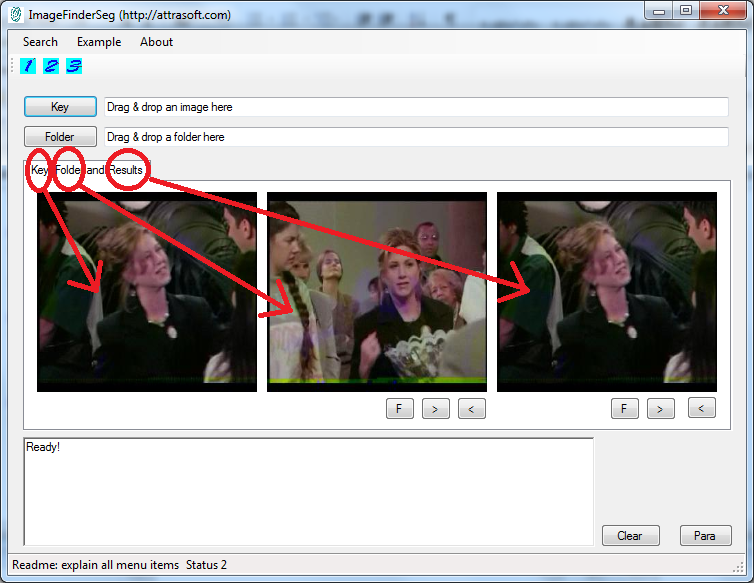 Use the F, >, and < buttons in Figure 5 to see matched images. The “F” button goes to the first image; the “>” button goes to the next image; and the “<” goes to the previous image. Figure 4. 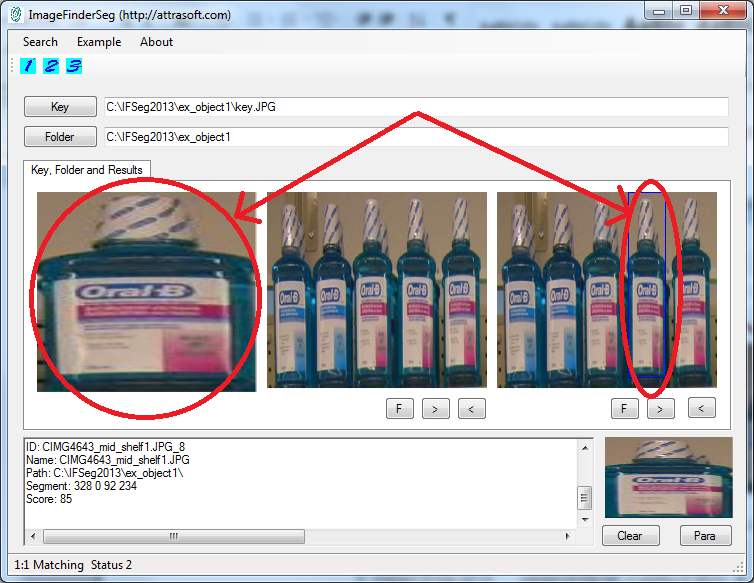 Obtaining a cropped key segment from an image by using Windows’s Paint. Figure 5. Use the F, >, and < buttons to see the images in the folder and Results. The “F” button goes to the first image; the “>” button goes to the next image; and the “<” goes to the previous image. 3. Search (click the “3” button in the Toolbar, or menu items under menu “Search”). Step 3, Search, can take some time. 2. Click the “>” button in Results Panel (see Figure 5). · Scale invariance start from 20%: The cropped images and their appearances in the original images must be at least 20% in each direction. · No rotation invariance: The cropped images and their appearances in the original images must have the same direction. If not, simply substitute this folder with your folder. Step 3, Search, can be completed by the Search menu in Figure 5. 2. Click the Results “>” button (Figure 5). 1. 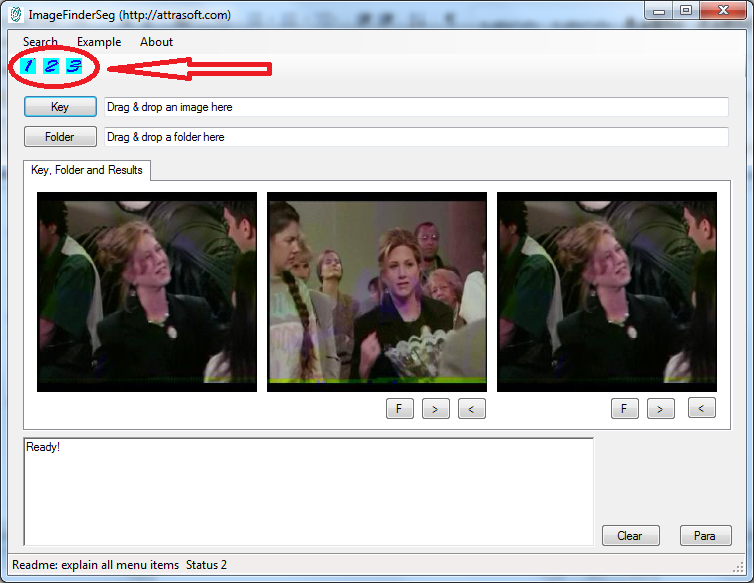 Drag & drop an image (see Figure 7). Drag & drop C:\IfSeg2013\ ex_object1\key.jpg to the first text box. Figure 7. Step 1, selecting a key. After selecting a key image, the image will be displayed in the Key Panel. Drag & drop the folder, C:\IfSeg2013\ ex_object1\, to the second text box; see Figure 8. Figure 8. Step 2, selecting a folder. 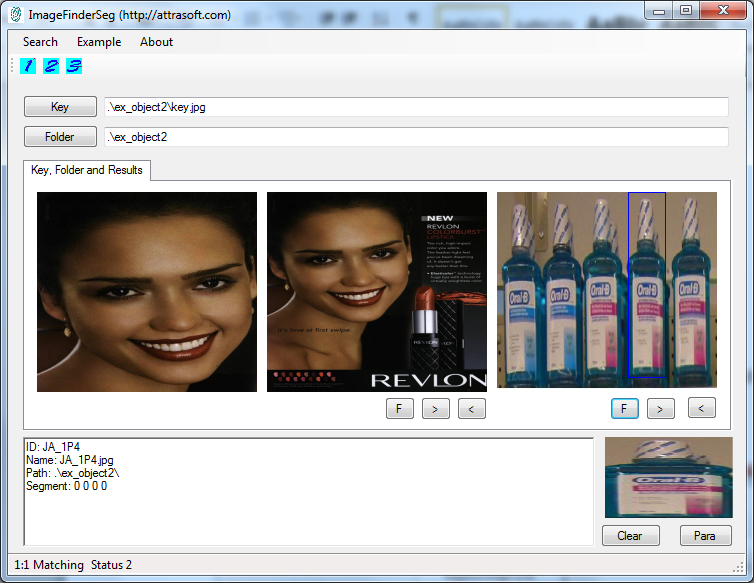 After selecting a folder, the first image will be displayed in the Folder Panel (middle picture box). The “F” button goes to the first image; the “>” button goes to the next image; and the “<” goes to the previous image. All sub-folders will be included. · Click the “Search/1:1 Matching” menu item in Figure 9. Figure 10. Images that matched the “key” will be displayed in the Results Panel. A blue box indicates the location. Figure 11. The matched score and coordinates, (x, y, w, h), are given in a text file: “.\data\c.txt”. 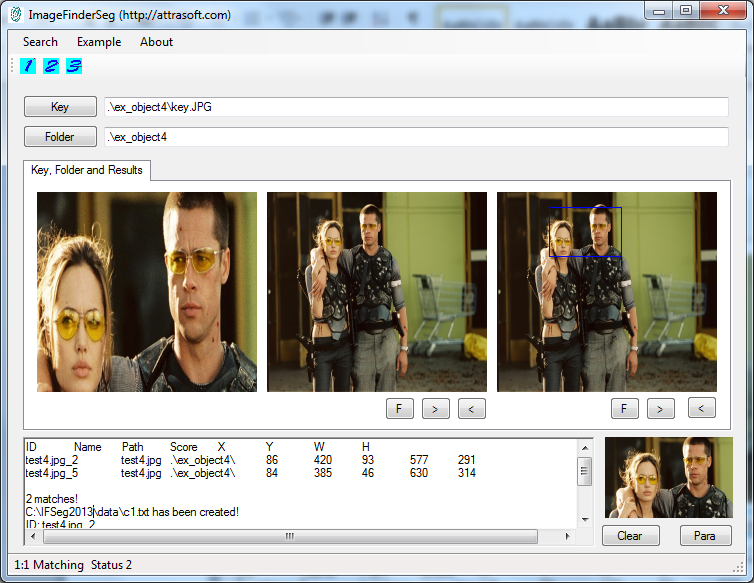 To see the first matched image, click the “F” button in the Results Panel (see Figure 5). To see the next matched image, click the “>” button in the Results Panel. The key and the matched images are displayed side-by-side. Figure 12. To see the first matched image, click the “F” button in the Results Panel. To see the next matched image, click the “>” button in the Results Panel. The key and the matched images are displayed side-by-side. Figure 13. Completing the example in two clicks. · Click the “Search/1:1 Matching” menu item. Step 3, Search, can be completed by clicking menu item “Search/1:1 Matching” or “1:N matching. 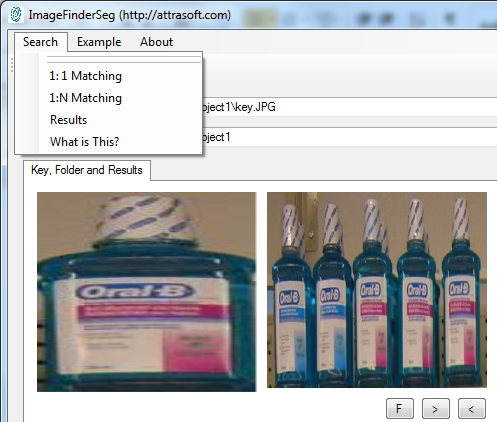 “Search/1:1 Matching” will match the key against the image displayed in the Folder panel in Figure 3. 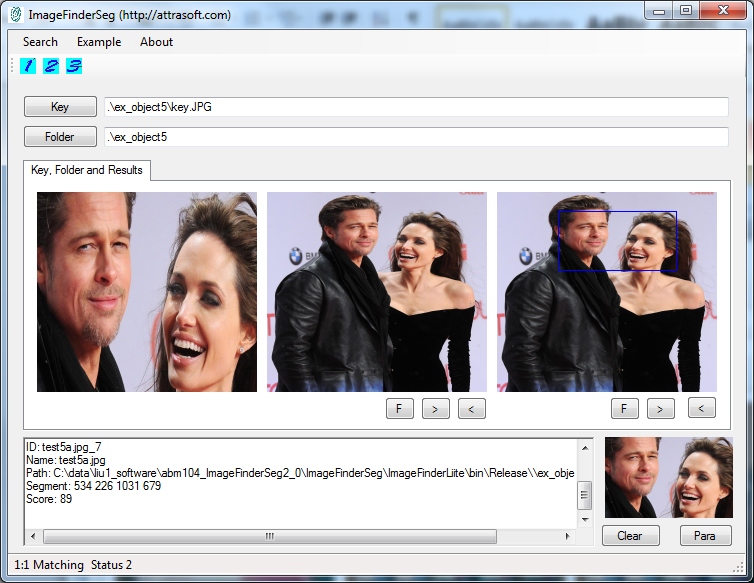 “Search/1:N Matching” will match the key against the all images in the selected folder. Each example can be completed in a few seconds. The first example is done in section 2.1. We will go through all 4 remaining examples in Figure 13. 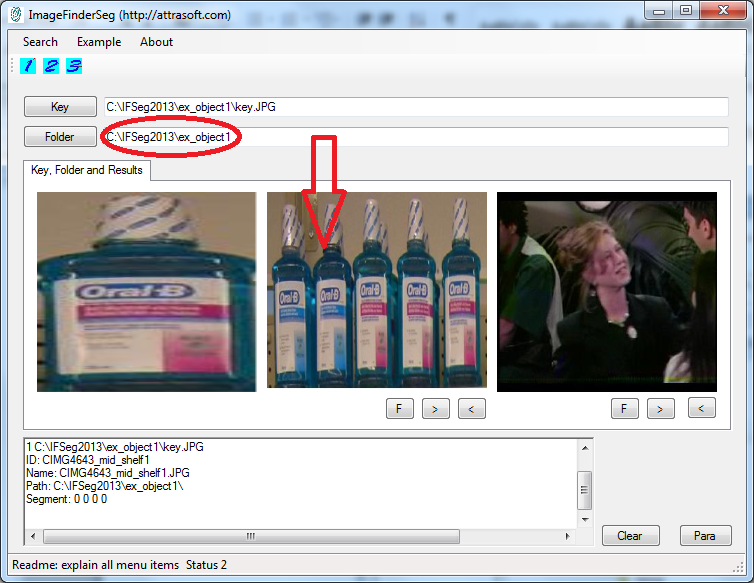 The second example uses data in C:\IfSeg2013\ ex_object2\. · Click the “Search/1:1 Matching” menu item to get Figure 15. Figure 14. Click “Example/Face Image (1:1)”. The third example uses data in C:\IfSeg2013\ ex_object3\. · Click the “Search/1:1 Matching” menu item to get Figure 17. Figure 16. 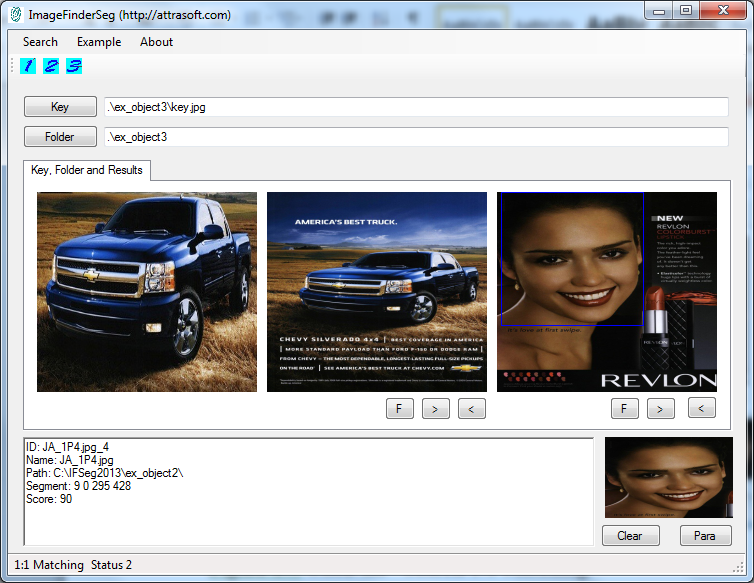 Click “Example/Car Image (1:1)”. The fourth example uses data in C:\IfSeg2013\ ex_object4\. · Click the “Search/1:1 Matching” menu item to get Figure 19. Figure 18. Click “Example/Movie Image (1:1)”. The fifth example uses data in C:\IfSeg2013\ ex_object5\. · Click the “Search/1:1 Matching” menu item to get Figure 20. · You cannot use the software to perform work for which you will get paid for. You must purchase a separate annual license for business use from Attrasoft. For a business annual subscription or a commercial annual subscription, please contact Attrasoft at gina@attrasoft.com. Operation of the software requires only three clicks and some parameter settings. If customer support is required, there will be an additional fee for customer support. 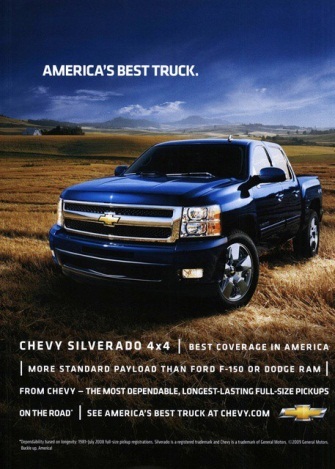 Customization is available for additional requirements. 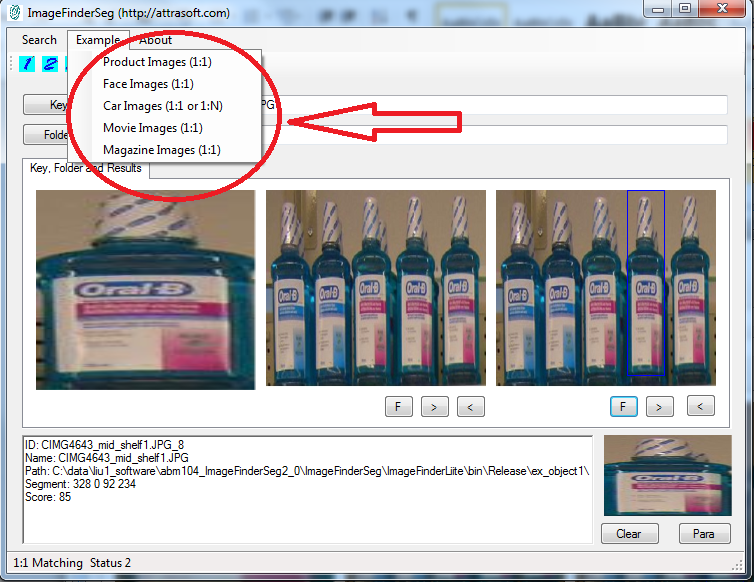 Q: What are ImageFinderSeg’s running requirements? Q: What is an image? Q: How to download an image? Save to C:\temp\; now the image is saved in c:\temp. Double click it to see it. Q: Can you search Video? A: The difference between video search and image search is that a video has a lot more images. Attrasoft VideoFinder deals with Videos. Q: How to handle multiple key images? A: You can only search one key image at a time; however, you can search multiple times. Just load all of your images to a single folder in your computer first, say c:\temp\, and then search one image at a time from that folder. 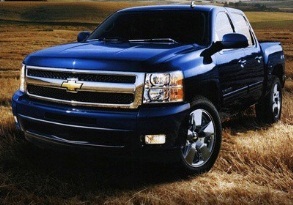 Customization can also address speed. Q. What is Customized software?